Founded in 2012, the Italian Contemporary Film Festival (ICFF) is a grassroots non-profit film festival that has grown to become the largest Italian film festival outside of Italy. 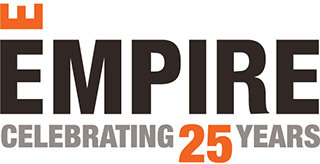 Empire is a proud supporter of ICFF and the incredible collection of 180 feature films, documentaries and shorts which will be shown across Canada from June 9 to 15. All ICFF films are subtitled in English and screenings are supplemented with guest appearances by filmmakers, actors, authors, academics and expert speakers, and complemented by Q&A sessions. Held during Ontario Italian Heritage month, the ICFF offers a multitude of inspirational films in honour of Italian-Canadian stories. Here are our picks for the top 5 films with a Canadian influence you should check out. Visit the ICFF website for a full list of ICFF film screenings and to buy tickets.